Tucson has a reputation for its embracing street art, murals, and overall liberalness when it comes to expression. 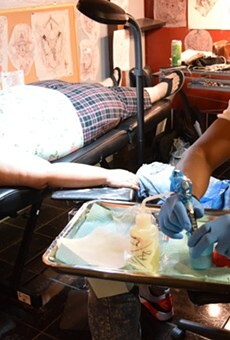 Whether you want to permanently display your love for Tucson with a cacti sleeve or declare your allegiance to UA with a portrait of Wilbur, Black Rose Tattooers would be more than happy to expertly oblige. Their artists are gurus of the industry who can transform you from mediocre civilian to badass in a single session.